Sunday July 22nd the Sun leaves the sensitive and vulnerable water sign of Cancer and enters the confident and courageous fire sign of Leo. Each succeeding sign of the zodiac provides the means to rectify or redirect the energy of the previous sign. The astrology this summer portends unexpected developments and unpredictable changes. More than ever we need to summon courage and stay centered in our hearts as we witness dramas unfolding on the global stage. Leo redirects our awareness from the realm of feelings and vulnerabilities and inspires us to move out into the world where we can use our inspired creativity to find solutions to long standing problems. Use your will and determination to love life, honor others, and command respect for individual rights during these unstable times. The positive polarity of Leo gives it an enthusiastic, sunny, and expansive energy. Having a flair for drama and passion, Leo is a great actor and performer. It loves being on stage in the spotlight taking on varying roles. Leo commands attention, approval, love, respect and applause from others. Leo governs the ego and the conscious process of becoming an individual. As spiritual beings having a human experience, our egos enable us to function in the world. When we have a healthy ego, we connect with our own inner light and find creative forms of self expression. We learn self-mastery by setting goals and directing our energy and enthusiasm towards them. We are generous in sharing our creative powers and love of life. The key phrase for Leo is “I Will.” Having abundant courage, Leo does not hesitate to act, especially in undertakings in which personal recognition is desired. It participates in life fully and completely. At its best, Leo is generous, heart-centered, and gives to others in loving ways. Leo must guard against being insecure, arrogant, dominating and having an inflated ego. Proud, regal, and dignified, Leo respects itself. It values honor and is loyal. Leo’s animal magnetism and charisma make it a confident and influential leader. Leo’s goal is to inspire others to become leaders and shine in their own right. In many cultures Leo symbolizes the ultimate authority, God on earth, represented by the crown and throne and personified by kings and queens. 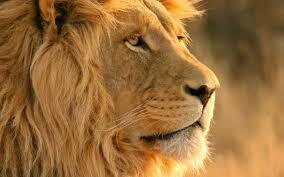 The symbol for Leo is the majestic lion, representing power and authority. Positive archetypes for Leo include the benevolent ruler, and kings and queens who model courage and strength to their people. Psychologically, Leo rules our Inner Child: the joyful, creative, spontaneous part of our self who is both playful and sophisticated at the same time. Being in touch with our Inner Child in loving ways connects us with our own spark of divine light. We become more lighthearted, happy, and ebullient. We find ways to channel our individual energy and vitality in creative, whimsical amusements. We play, discover pleasures, enjoy recreational activities such as games, sports, vacations, holidays, and parties. We have fun as we learn self-mastery in the world. Spiritually, Leo represents the generous heart-centered out-pouring of light and love of life. A candle flame used to light many other candles is not diminished by its sharing. The more that is expressed and freely given, the more there is in the world. As we use and share our light, warming and illuminating others, we encourage them to do the same. Leo rules our spiritual life purpose. Staying connected to our own individual spark of divine light allows us to create out of joy so we can share our love with others. What brings you joy? What do you love to do more than anything else? What kind of activities excite and replenish your energy? What is a heartfelt expression of your life force and creativity? The color for Leo is golden yellow, the radiant color of the Sun. Visualize the color gold when you want to build self-love and self-respect, increase confidence, or create warm connections with others. Ruby is the gem for Leo. Gold is its metal. Sunflowers, marigolds, orange and citrus trees are Leo plants. Lions, cats and peacocks are Leo animals. Actors, comedians, stage performers and entertainers personify Leo. Parts of the body ruled by Leo include the heart, upper back, spine, solar plexus and spleen. This month we can align with the Sun’s radiant energy in Leo by shining our unique, individual spark of light into the world. Find joy in your individuality. Take action with courage and strength. Have confidence. Practice your leadership skills. Make heart-felt connections and respect the divinity in others. Communicate with love. Be generous with your gifts. Saturday July 22nd the Sun leaves the emotionally sensitive and protective water sign of Cancer and enters the exuberant and courageous fire sign of Leo. Each succeeding sign of the zodiac provides the means to rectify or redirect the energy of the previous sign. 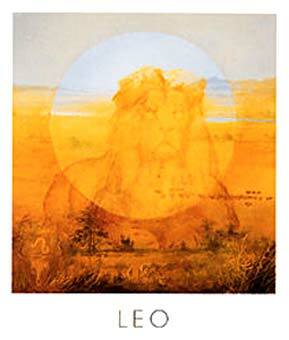 Leo shifts our awareness from the inner realm of feelings and inspires us to radiate our unique, individual spark of light into the world. A fixed sign, Leo uses its will and determination to express itself with joy-filled creativity and lead with pride. As the Sun enters the sign of Leo it conjoins Mars, lending its vitality and enthusiasm for life to the planet of assertion and action. The fusion of the two planets in Leo is a powerful combination, suggesting profound willfulness and risk-taking, boldly asserting individual needs with courage and bravery. As Mars is the dispositor of Uranus in Aries, actions could become impulsive, rebellious, erratic, and create conflict or harm. Act and lead from a heart-centered place. Have courage and confidence in your convictions. Be aware of your goals when applying your energy. Think things through, and be patient. Mercury in Leo conjoins the lunar North Node, inviting us to interact and communicate with others from a spiritually higher, heart-centered place of love, rather than from a self-serving ego. Be enthusiastic and speak to inspire and encourage. Lead with respect for the dignity and honor of others. Know that like you, all members of humanity carry the divine spark of life, and are seeking ways to create and express their individuality. The Moon in Cancer trines retrograde Neptune in Pisces and is opposed by retrograde Pluto in Capricorn. Sensitivities and feelings of vulnerability may be triggered by the continuing unearthing of the corrupt and decayed in institutions and systems we have relied upon. While this may leave us feeling helpless or victimized, we can call on the energy of Leo to be inspired to create a brighter future that uplifts us all. With the transition in May of the Lunar North Node into the sign of Leo for the next year and a half, we are invited to embrace a heart-centered approach to problems and issues that arise in our world. This month we can align with the Sun’s radiant energy in Leo by celebrating our love for life. Find joy in your individuality. Make heart-felt connections with others. Communicate with self-confidence. Be generous with your gifts. Take action with courage and strength. Practice your leadership skills. Shine your light into the world. Soon after the Sun moved into the sign of Leo this last month, I attended a powerful creativity workshop. We cleared emotional blockages and released limiting beliefs that keep us from being fully creative. We had fun exploring a variety of forms of artistic self-expression including music and dance, painting, improvisation, and poetry. What I discovered for myself is that creativity is not limited to the conventional forms of art. It plays an important role in whatever we do in life: in our work or career, our everyday routines, as well as being expressive and having fun! In astrology Leo is the sign most often associated with creative expression. Leo is the fire sign that represents the divine spark of light within our heart center. When we are connected to that divine light within us, we are inspired to use our will and personal power to be creative, to express ourself in a unique and individual way and make our mark on the world. We are enthusiastic, spontaneous, and joyful! When interpreting any astrological sign, it is important to examine the sign that is opposite it on the chart. Leo opposes Aquarius. What struck me during the workshop was how Leo and Aquarius work together, hand in hand, when we are truly creative. They are two sides of the same coin. Employing both can propel us farther and into new forms of self expression and creativity. Aquarius helps us think outside the box, to be unconventional in our approaches. It helps us recognize patterns and make connections we otherwise would not see. When we work with Aquarius, we engage our higher mind. We can connect to the Aquarian “mind of God”, from which information and insight are downloaded at lightening bolt speeds. We receive new ideas, become innovative and more inventive. Aquarius is an agent for change. It shakes us up and out of our traditional and customary ways of doing things. It dislodges us from our routines, gets us out of a rut, and helps us break free. When we create change in our lives we open the door to greater creativity. We begin to see the ordinary in a new light and from different perspectives. We even see things we hadn’t before! When we step outside our familiar routines we experience life in new ways. We discover new ways of doing things. As we step outside our comfort zone and try new activities, experiment with unusual combinations, or see new patterns, we expand our range of creative self expression. Try taking a different route to work this week. Wear an article of clothing in a new color. Change your daily exercise by walking on a new trail or in a new park. Eat dessert first. Use your non-dominant hand to eat, write, draw or paint. Have fun! Notice how you look at the world, what you see, and how you feel when you step out of your routine. Are you more engaged with the world through your senses? Notice the new connections you are making, or patterns you are seeing, perhaps for the first time. How are you inspired to share your visions, your insights? Play with a form of self-expression that gives you the most pleasure and joy. This is how you energize and re-create yourself.